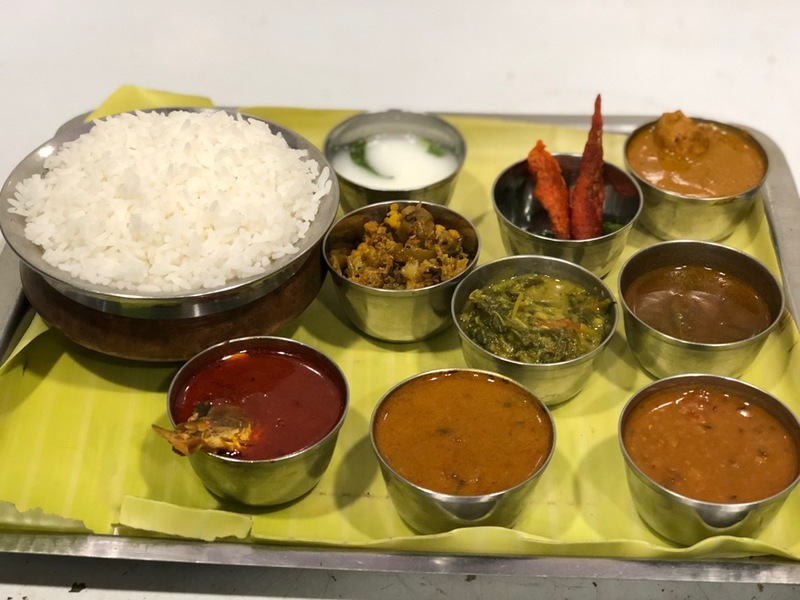 Trichy’s ThalaVaazhai restaurant gives you an unique experience; the option of being seated on the floor and eating in a plantain leaf can make you nostalgic. The taste of Thalavaazhai chicken fry or seeraga samba biriyani can make this more than an unique experience. This restaurant on Taramani Road in Chennai was launched in 2016. Non vegetarian special meals is one of the most sought after items from the daily menu here. All the masala preparations are handled in-house. No preservatives, pigments, artificial flavours are added here. Frozen foods are avoided completely. Mutton chukka, mutton biriyani, fish biriyani, egg biriyani and chicken biriyani are always the favourites of our regular and new customers. Affordable pricing brings youngsters and families alike to this beautiful restaurant. The taste of Trichy – born of river Cauvery – is maintained in our Chennai outlets also. Sea food varieties are also one of the most sought after items in our outlets. Prawn, crab and nethili are the famous items from the customers’ viewpoint. Vegetarian food lovers prefer our doasi prepared with gingelly oil; most of our food is prepared using coconut oil. The uses of coconut oil for a healthy living is now well understood by the youth and elderly. We don’t use the oil once used for cooking. We maintain hygiene and take every effort to help preserve the health of people who come to us. We provide safe drinking water in copper vessels, keeping up with our age-old traditions. We have takeaway tie-ups with Swiggy, Food Panda and Uber Eats. Like Trichy’s Thala Vaazhai on Facebook here. 100 Feet Taramani Road, Velachery, Chennai – 600 042.